A skipped heartbeat, the feeling of fish flopping around in your chest, a racing heart rate; these are the physical feelings of atrial fibrillation—the most common type of heart rhythm disorder. The symptoms are different for different people, but experts agree that ignoring these warning signs can be hazardous to your health. But, just because the disorder lacks the chest-clutching drama of a coronary, doesn’t mean it’s not dangerous. Over three million Americans suffer from atrial fibrillation—a type of irregular heartbeat that occurs when the upper chambers of a person’s heart (called, the atria) quiver out of rhythm with the lower chambers. People can develop an abnormal heart rhythm at any age, but the risk for atrial fibrillation increases as an individual gets older. With millions of baby boomers beginning to enter their twilight years, the number of people affected by the disorder is expected to double. In the heart of a healthy individual, the atria typically beat anywhere between 60 and 80 times every minute. By contrast, a person with atrial fibrillation may experience as many as 400 irregular spasms in the same time frame. Not usually deadly on its own, research has linked atrial fibrillation, with an increased risk of stroke, heart failure, and dementia. When compared to the general population, people suffering from atrial fibrillation are five times more likely to have a stroke. The American Heart Association estimates that 15 percent of strokes nationwide are caused by untreated atrial fibrillation. Gillis also cautions that, over the long term, consistently erratic beats can fatigue heart muscles and hasten heart failure. 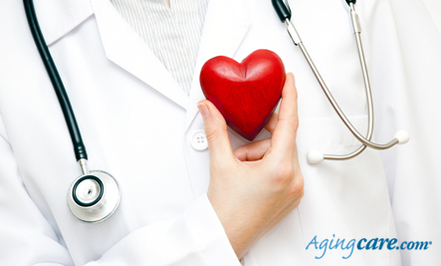 The ‘Minor’ Heart Symptom You Should Never Ignore originally appeared on AgingCare.com. The warning signs of atrial fibrillation can range from a minor fluttering feeling in the chest, to a full-on fainting episode. According to Gillis, some people first notice a problem during physical activity. They can’t handle a flight of stairs without losing their breath, or they aren’t able to make it through their usual 40-minute spin class without having to stop. The tricky thing about atrial fibrillation is that it can be hard to explain. “People often have a difficult time describing their symptoms. They know that something’s not quite right, they don’t feel well, but they can’t define it,” says Gillis. Especially when it comes to your heart, it’s important to resist the urge to shrug off a seemingly minor symptom. Because the symptoms of atrial fibrillation can be varied and vague, Gillis urges those with concerning symptoms to speak up and address their concerns with their doctor. Getting diagnosed is the first step towards gaining access to the variety of treatments, both surgical and non-surgical (prescription medications), available to help manage irregular heart rhythms and their potential complications. Help spread awareness of stroke prevention by signing the “Charter to Fight Stroke” below this story! It seems like this is what I had, due to some medication. I went off the medication, and it immediately went away. I wonder if there is any danger of it coming back, now. I haven't seen the doc yet. I recently had a dna test ran and I am at a higher risk for developing atrial fibrillation. Now that I know I can keep a closer eye on my heart health and keep living healthy to improve my chances of not becoming a statistic. Afib runs in my family. If you have symptoms and your dr. shrugs it off find another dr.